If you discover frozen pipes in your holiday home, there is a significant danger that as water thaws and expands, pipes could burst. Leaks may start slowly at first, almost unseen – but could lead to devastating damage and disruption if undetected. How do you tell if your pipes are frozen? If you can see frost on a water pipe (or a bulge) there’s a good chance that it’s frozen. Not all pipes are visible, so if there’s no water coming out of the tap, or only a slight trickle, and your toilets won’t refill following a flush, that’s a good sign that you may have a frozen pipe. Frozen pipes will not always burst so here’s what you should do as soon as you discover a frozen pipe to try and prevent it bursting. If in doubt, always consult a registered plumbing and heating engineer for assistance. Turn off the water supply at the internal stop tap to limit the amount of water that could escape in the event of a burst. Typically, you should find this under the kitchen sink or where the service pipe enters your home. If you have a stopcock on your cold-water tank (usually found in the loft), turn this off. Turn off the central heating system or immersion heater. Check pipes for damage, evidence of freezing and bulges . Cracks in pipes and plumbing joints may not be noticeable because frozen water is keeping them sealed. If pipes are split, call a plumber to repair the damage. Open the taps nearest to the frozen pipe, so the when the frozen water thaws the water flow will release pressure. Have some buckets and towels on hand to deal with water in case pipes burst. 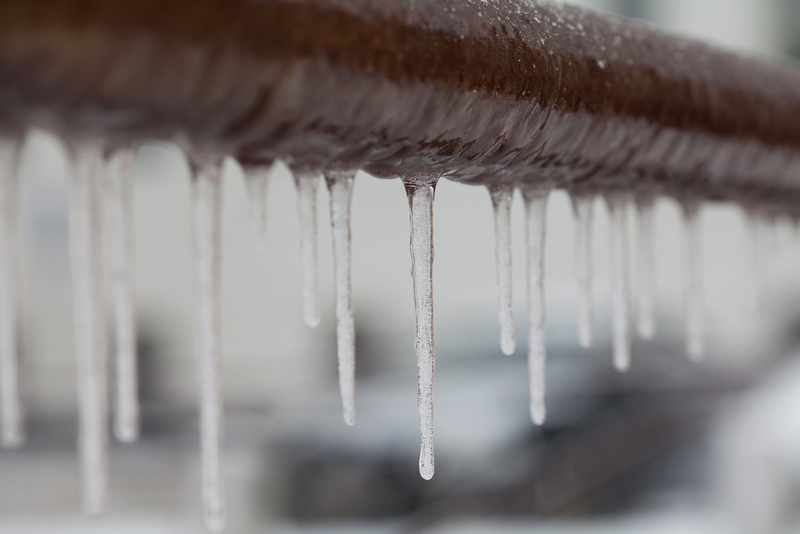 If possible, protect or move items near where the frozen pipe is located to avoid damage if it bursts. How do you unfreeze a water pipe? Try to thaw the frozen pipe slowly and cautiously with a hot water bottle or hairdryer on the lowest setting. Start from the tap end and work back. Never use a naked flame such as a blowtorch or heat gun. If your condensate boiler stops working in freezing weather, check your condensate waste pipe. It’s usually the pipe running from your boiler outside. Try to unfreeze the pipe with warm (not boiling) water. Hopefully, this will get your boiler up and running again. Once you have thawed your pipes and are satisfied that there are no leaks, close the open taps and turn on the water supply – then take these steps to prevent frozen pipes in the future. Check and double check your pipes again for leaks and turn on the central heating system. If you fail to un-thaw the frozen pipes, if you can’t get to them, or notice signs of splitting or cracks – call a plumber. Early discovery of a burst pipe will significantly reduce the extent of damage. However, if water has been escaping for some time, a burst pipe can cause serious damage to your home’s structure, furnishings and electrical wiring. 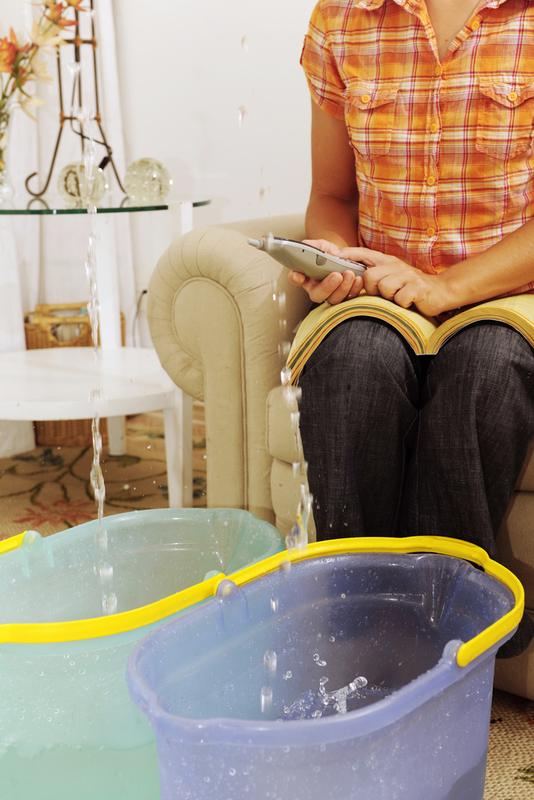 As soon as you discover a burst pipe, it’s important that you stop the flow of water. The sooner you can stop the water, the lesser the risk of extensive damage and the size of your claim. Proceed with caution and do not endanger yourself. Turn off the water supply at the internal mains stopcock (usually found under the kitchen sink). If you can’t find your internal stopcock, turn off the outside stop valve. Drain the pipes and tanks by opening all your cold water taps and flush the toilets – making sure the bath and sinks don’t overflow. Turn off your central heating system and turn on the hot taps to help drain the system. Don’t touch any electrics that may have been affected – turn off the mains electricity. Call a plumber to repair the leak immediately – to find an approved plumber use the Chartered Institute of Plumbing and Heating Engineering’s website. Do what you can to protect or remove anything which might get damaged by water. Collect water into large containers and mop up any excess water to help prevent damage. If the ceiling starts to bulge, if safe, carefully punch a hole to let the water escape and catch the water in buckets placed underneath. After the leak has been fixed, use a dehumidifier to help remove dampness from the property – do not overheat affected rooms. Have an action plan – ensure that guests know how to turn off the water and who to contact (you, agent, housekeeper, plumber) in case of an emergency. Contact your holiday home insurer as soon as possible. The claims department should advise on the claims procedure and the next steps to repair the damage caused by the escape of water. What should you do in the unlikely event you can’t contact your insurer – repair the damage or wait to get approval? Typically, you should do what’s necessary to mitigate the loss by proceeding with emergency plumbing or electrical work, remove floor coverings or furniture from affected areas to prevent further damage. Note: most policies do not cover the repair of frost damaged pipes, boilers, radiators etc. just damage caused by the escape of water. So you are usually responsible for these repairs anyway. Gather supporting evidence for your claim. Take photos, keep damaged items and receipts for repair work. Does insurance cover burst pipe repairs?